February is here and in Toronto its cold outside; therefore, it’s the perfect time to cuddle up with some hot Internet marketing news. Over the past week, we’ve collecting articles to help you keep up with important trends: Why Google Loves Remarketing; Social Media Trends for 2013: 7 Tips on How to Maximize ROI; 10 Do`s and Don`ts of Mobile PPC; and ‘Dying Industry’ Raises Over $100 Million in 2012 – SEO is Not Dying. It`s simple why Google loves remarketing, the higher-value forms of display advertising equals more revenue for them; nevertheless, an effective remarketing strategy can leverage past paid search investments and improve ROI. If you’ve been experiencing a high abandonment rate on a particular product or service, remarketing has proven to improve conversion rate. Social media isn’t an ATM, simple putting out good content won’t increase sale or provide a good ROI. 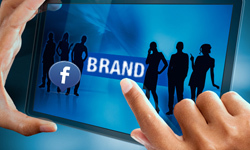 The beauty of social media is you have the ability to showcase your brand and company culture to a wide audience. You must be active and interactive to engage the right communities and audience. For 2013, humanize your page and think mobile. Follow these trends and maximize ROI. With all the hype surrounding mobile it’s hard not to get sucked into the mix. However, before you jump deep into the world of mobile marketing, you must carefully develop a strategy. You must introduce shorter content, use sizeable images and create mobile optimized landing pages. Make sure a click-to-call feature is incorporated. You may have notice some trending debates consisting of whether or not SEO was coming to its end. Don’t listen to the rumours about SEO becoming obsolete, as a matter of last year’s statistics show SEO is stronger than ever. Take a look for yourself. Wow very informative! Thank you so much! This is going to help me a lot. Thanks again. I was actually looking for ways to tweak my websites a little to increase ROI. 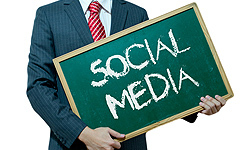 Social media tips provided in this article are definitely going to help. @invisibed, thank you! I’m Glad found the articles useful!